Reflexology is an ancient practice which has proved to cure and treat many diseases in the body. Recently gaining popularity this treatment is very affective and essential for physical and emotional cures. It has a specific impact on a few organs of the body. Most of these reflex points are found in the hands and feet. These areas are the holograms on the whole body. Hence by stimulating the reflex points on the hands and feet, we can see the effect on all the organs. Reduction of pain (joint pains, kidney stones, AIDS, chest pain etc). 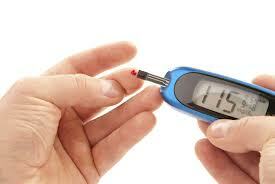 Diabetes is one of the diseases which can be controlled by using the methods of reflexology. It is a life threatening disease and people diagnosed with this condition should take care of themselves. Diabetes can be caused due to improper glucose or carbohydrate metabolism. Minor defects in the intestine, pancreas, liver, stomach or muscle cells can cause this. Controlling the sugar intake is one of the main techniques to control diabetes. However there are different types of diabetes which need different kind of medication. Type 1 – In this type of diabetes, the pancreas do not produce enough insulin to the body. This is known as ‘insulin depended diabetes’ and the person diagnosed with it needs injections to control the sugar levels in the blood. Type 2 – In this type of diabetes, the cells develop a resistance to insulin and do not absorb the sugars found outside the blood. Gestational Diabetes – This is pregnancy related diabetes. It occurs when the pancreas do not produce extra insulin while pregnant. The reflexology for diabetes has proved to be really effective. Diabetes according to reflexology can be controlled with the proper use of reflex points. Some reflex points found in the feet can stimulate and balance the functioning of the whole body. In a course of time, the body can be restored. It helps to remove the toxins and encourages heeling. If the pressure is applied in the right manner on these reflex points, it will act as an aid to diabetes. Place your fingers 2 centimeters below the knee, as shown in the picture. Massage this area with a little pressure for 5 minutes every day. It balances the digestive system. Diabetes is said to begin with stomach fire and proper digestion can reduce this problem. You will immediately see the result. This method is also used to prevent aging, arthritis and other forms of weaknesses. This pressure point is very essential to relieve any kind of pain. Hold the joint between the thumb and index finger. Press and massage it for 5 minutes. You will experience relief in the large intestine. It also helps to reduce excess heat in the body. You will feel energetic and stress – free. This pressure point as you can see in the picture targets the liver. This is the best point for the treatment of insomnia, diabetes and hypertension. Regularly pressing and massaging this point will help to reduce diabetes. Foot reflexology for diabetes is practiced to control the blood glucose levels. 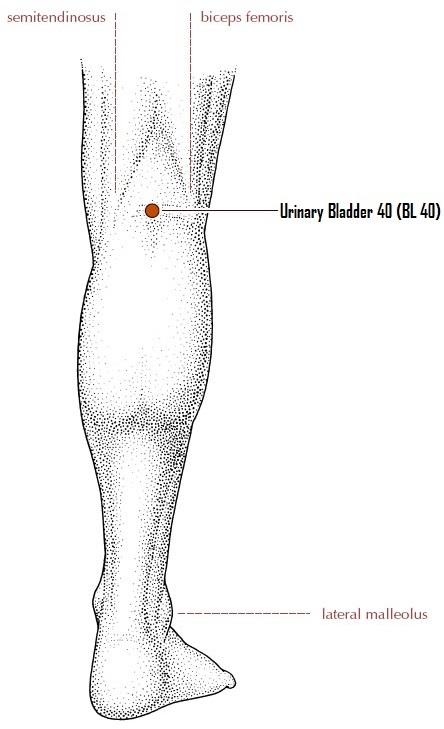 The back of the knee represents the urinary bladder. Any kind of impurities can be drain out by massaging this point. Look at the picture, the point which is marked is the pressure point. Lay pressure on this point for at least 5 minutes every day. Excess urination and other problems related to the urinary tract will be reduced. The area near your wrist below the little finger is the pressure point that is good for the heart. All the emotions and stress from the heart will be reduced by massaging this point. Regularly. Apply pressure under the big toe with the help of your fingers. Since it is hard for you to do this alone, ask a friend to help. 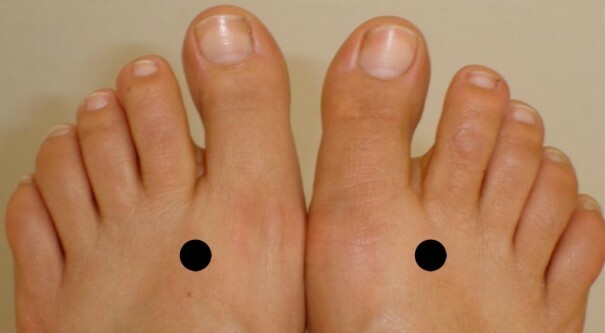 The pressure points under the big toe will help in giving a long term relief from diabetes. Regularly pressing this point will prove to be fruitful, as it worked for many other diabetic patients. Performing reflexology for diabetes is simple and easy. It also helps in the overall development of the body. By practicing reflexology on these sensitive areas you can even cut down the medicine intake. These reflex points are also useful for people who may be affected with diabetes in future. Though diabetes is said to be incurable, the proper use of reflex points will be affective to relieve you from the pain. This is a genetically transmitted condition and these reflex points help prevent you from being affected. Along with helping your body work better, it will relieve stress and tension. You can also use these to target any organ in your body. As mentioned above the pressure points focus on better functioning of some organs. Try these simple reflexology methods to improve your health. i want more information for dibetees acupressure points. We will surely come up with an article that deals with acupressure treatment for diabetes in a more detailed manner. Very good and simple English. I will test myself as I am a diabetes for 6 years. I searched so many sites for remedy. I take lot of allopathy medicine which gives side effect of acidity, chest pains etc. If it works, I will sure contact you pls. Thanks for liking our article and do let us know the results. It works really for diabetes. Thanks for the details, must spread this to millions, whole world suffering from this problem. would have some remedy for varicose veins/spider veins?? 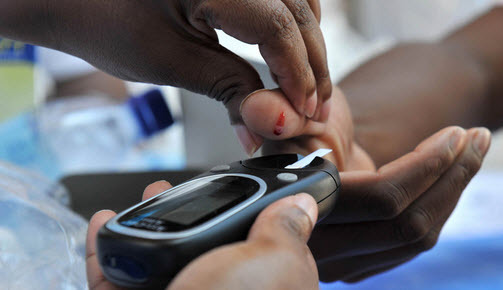 We will surely come up with more articles that address the problem of diabetes. Bipasha Ma’am, what is the correct way of applying acupressure? Should we move the finger with which we are exerting pressure in a circular movement or keep it still? Also my thumb starts paining when I use it for applying pressure after a minute or so. Is this normal and how should I deal with it? Thank you! Hi, I found this article really helpful in general, but would like to know of the same accupressure points are used for treating gestational diebets as well? Does this really work? Anybody tried? I am not clear about the big toe point. The Picture shows pressing the sides of big toe. But it is mentioned that we should put pressure under the big toe. Kindly clarify. pressure point for irritating and annoying cough caused by sinus or asthma. It will definitely be controlled. Can I take allopathic medicines while doing touch therapy treatment. Because I lost 7 kgs while doing touch therapy and my sugar levels have gone up 5 times than normal. For example while fasting sugar level is 353 and while after meal shows 565. My cholesterol level is nearly 300.please advice.